Advanced imaging modalities, such as multi-slice computed tomography (MSCT) and cone beam computed tomography (CBCT), greatly facilitate diagnostic medicine. In radiological research, it is important to know how accurately a scanned object is visualized, and whether the methodology leads to image distortion. 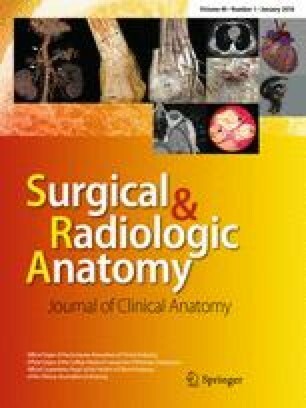 The objective of this study was to evaluate whether formalin fixation impacted the accuracy of virtual 3D bone models generated via CBCT and MSCT using a software-based evaluation method that excluded human measurement errors. A head specimen, with and without formalin preservation, was subjected to MSCT and CBCT scans using the manufacturers’ predefined scanning protocols. Digital models of the lower jaw were constructed and superimposed with a master model generated based on optical scanning with an industrial non-contact scanner. Means and standard deviations were calculated to assess accuracy, and a t test was used for comparisons between the fixed and unfixed specimens. The extent of discrepancy between the fixed and unfixed specimens was analyzed using a total of 200 points (n = 200) in each specimen state. The mean deviation between states was 0.01 mm for MSCT (at both 80 and 140 kV). Mean values from CBCT at 0.4 voxel did not differ between states. Our results suggest that formalin fixation of an anatomical specimen does not substantially affect the accuracy of a three-dimensional image generated with CBCT and MSCT. Thus, fixed specimen can be used in future investigations of 3D models without concerns regarding the accuracy. Anna Seidel and Bastian Bergauer are equally contributed co-first authors. The present work was performed in fulfillment of the requirements for obtaining the degree Dr. med. dent for Anna Seidel after the state examination in dentistry at the Friedrich-Alexander-University Erlangen-Nürnberg (FAU) in 2016. The authors gratefully acknowledge Dr. Andreas Zilker, as well as GOM mbH (Braunschweig, Germany) and CT Imaging GmbH (Erlangen, Germany). We would also like to thank Eva Leitinger for performing the digital imaging. The authors declare that all national ethical standards and rules have been followed.